Cory L. Groft, 61 of Littlestown, died Wed, April 10, at his home. 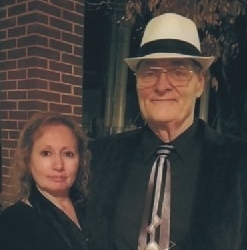 He was the husband of Veronica (McKinney) Groft for 43 years. Born June 6, 1957 in Hanover, Cory was the son of the late Charles, Sr. & Mary Rose Groft. He was founder, CEO and president of Environmentally Safe Products, Inc. of New Oxford; the inventor of Low-E insulation and owner of 5 patents. Surviving in addition to his wife, are his daughters: Tanya L. Groft of Littlestown; Jessica L. Moose of Hanover and Shanna A. Cabassa of Hanover; his 5 grandchildren: Alexander Tate Groft, Shyenne Rae Young, Nathaniel Brock Wagaman, Lillian Rose Groft and Donovan Lee Groft; and his sister, Kris Geiman of East Berlin. Cory was a member of Intersection Church, Gettysburg and enjoyed playing guitar and chess. Dear Veronica - I was so sorry to hear of Cory's passing. You hold a special place in my heart and my thoughts and prayers are with you and the family. Sending prayers of love, comfort and peace to you all. God bless always! So sorry to hear this. Veronica, Shanna, Jessica and Tanya you are in my thoughts and prayers. Veronica, Shanna, Jessica and Tanya. You are in our thoughts and prayers. Find comfort in that Cory loved you all, and he still and always will be a part of you. My condolences to Mr. Groft Family. I am so sorry for your loss. Our loving God promises to give you the strength to cope with this loss you are experiencing and promises to hold your hand every step of the way. Please take comfort that he does care. (Isaiah 63:9 and Jeremiah 29:11-12) and longs for the day when he will awaken him to perfect life free of sickness, pain and death.